I came across this book by accident on Amazon. It is one of the few quiz books on the centenary journey of Indian films. India produces the largest number of films on the planet and the author has done an excellent job of capturing both mainstream Bollywood as well as regional films like Bengali, Oriya, Marathi, Tamil, Telegu, Kannada and Malayalam films. The book is nicely divided into 10 chapters covering the different regional film industries of the country as well as Indian films at the Oscars and National film awards in India. The unique element in the book is the chapter on Indian English films which is very less written and talked about. The chapters are structured as quizzes which keep your interesting going right through the book. The author has also provided references for further reading which shows the amount of research that must have gone into making this book. 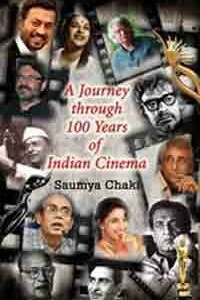 If you are interested in Indian Cinema and its journey this is a must buy.